Write Damavand Ski Tour in your email subject, this will help us to quickly recognize the real emails from spams. MDST is the Official Website of Mount Damavand Guides. The most experienced Iranian mountain guides and the leading tour organizer for hiking & trekking and climbing tours. MDST is the Official Website of Mount Damavand Guides. The most experienced Iranian mountain guides and the leading tour organizer for hiking & trekking and ski climbing tours. 1- Write Damavand Ski Tour in your email subject, this will help us to quickly recognize the real emails from spams. 2- Be patience, with no exception, we will reply to all mails who have mentioned in the title the Damavand Ski Tour. 8- If you have any suggestions about our websites, don't hesitate to drop us a note. 11-Find our email address at the bottom of all pages. The MDST guides are specialists in Damavand ascend tours, mostly have climbed more than 100 times to the Damavand summit and are the members of 100 Damavand Club, and others are members of Iran Mountaineering & Sport Climbing Federation . These high qualified guides share their experience to give you the best chance of success to summit of Middle East. The MDST team is consist of the mountaineers who have been climbing in Iran for about 30 years and guiding for 20 years, our guiding group are guarantee of safety and quality days on the mountains. We organize quality Damavand Ski Mountaineering and Damavand Trekking Tours which range from a simple summer hiking, ideal for complete beginner, up to advanced alpine style winter climbing. If you are planning to visit Mt Damavand Iran for trekking, climbing or ski mountaineering then this is the right place to get all the necessary info to enjoy your mountain tour. Copyright Damavand Ski Tour (MDST) Copyright C and Database Right MDST. All rights reserved. No part of the MDST may be reproduced stored or transmitted in any form without link to us and without prior written permission. Using any of our Services or Guide and working with us means you have read this Disclaimer and you are agree to our terms. Clients and users expressly agrees that use of the Mt Damavand Ski Tour (MDST) and Mount Damavand Guide (MDG) website/weblog or its services is at the client's/ user's sole risk. Neither MDST/MDG nor any of their respective agents, guides, employees, third party content providers warrant that the MDST/MDG website will be error free, nor do they make any warranty as to the results that may be obtained from use of the MDST/MDG or its services, or as to the accuracy, content or reliability of any info, service provided through the MDST/MDG. User specifically acknowledges that MDST/MDG is not liable for the, offensive or illegal conduct of other subscribers or third-parties in cases including but not limited to any interactive communication on or through the site and that the risk of injury from the foregoing rests entirely with user(s) and clients. MDST/MDG is not responsible for the content of external websites and links links. Damavand Weather and bad judgment are the main caused of deaths and injuries on mountains. Some climbers rely on weather forecast reports, but they are forecasts, and one day could be wrong too. Falls and avalanches, Damavand Avalanches, are another major cause of injuries and deaths on the mountains, everyone has his own risk level. Mountaineering is a high risk activity, what is your risk level? A lot of people get injured or die in car and train accidents in the city, in airplane crash, by crimes or due to terror every year, much more than on the mountains. Everyone should make his own judgment on the risks. Traveling is a risk even to your friend or family's house, even in traveling you have to judge the level of risk you are willing to take. Damavand Skitour. Spezialist in Mount Damawand geführte Skitouren. Abenteuer Skitouren und Snowboard Tour in den Iran Skigebiet. Demavand sportliche Aktivität und Winterbergsteigen Reiseveranstalter. Geführte Skitour Betreiber. Iran Berg- und Klettertouren. Alpenländischen Stil Skitouren Alborz Mountains. Zagroz Mountains Skitouren. Iran Skitourismus Informationszentrum. Transport von Teheran IKA International Airport in den Iran Skipisten. Naturschönheiten und Öko-Touren Iran. Dizin Ski Resort und Iran Wintersport Complex. Shemshak Skipiste. Damavand Klettertouren. Dizin Ski- und snowboar Skitouren. Damavand Ski Tour. specialist in Mount Damawand guided ski touring. Adventure ski touring and snowboard tour to Iran ski resort. Demavand sport activity and winter climbing tour organizer. Guided skitour operator. Iran mountaineering and climbing tours. Alpine style ski touring Alborz Mountains. Zagroz Mountains ski touring. Iran ski tourism information centre. Transport from Tehran IKA International Airport to Iran ski pistes. Natural attractions and eco tours Iran. Dizin Ski Resort and Iran Winter Sport Complex. Shemshak ski piste. 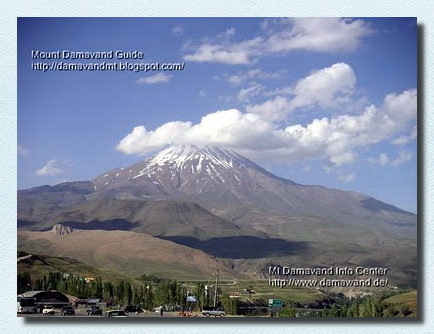 Damavand climbing tours. Dizin ski and snowboar ski tours. Damavand Tour de Ski. especialista en Mount Damawand esquí de travesía guiada. Aventura esquí y el snowboard gira a la estación de esquí Irán. Demavand actividad deportiva y escalada en invierno gira organizador. Operador Skitour guiada. Irán alpinismo y excursiones de escalada. Esquí estilo alpino recorriendo montañas de Alborz. Montañas Zagroz esquí de montaña. Irán centro de información turística de esquí. El transporte desde el aeropuerto internacional de Teherán IKA a pistas de esquí Irán. Atractivos naturales y ecoturismo Irán. Dizin Ski Resort y Complejo Irán Deporte de Invierno. Shemshak pista de esquí. Damavand escalada tours. Dizin esquí y excursiones de esquí snowboar. Damavand Ski Tour. spécialiste de Mont Damawand ski de randonnée guidée. Aventure ski de randonnée et la visite de snowboard à l'Iran station de ski. Demavand activité sportive et l'escalade d'hiver organisateur de voyages. Opérateur skitour guidée. Iran alpinisme et d'escalade visites. Ski de style alpin tournée Alborz Mountains. Zagroz Montagnes ski de randonnée. Iran tourisme de ski centre d'information. Transport de l'aéroport international de Téhéran IKA Iran pistes de ski. Attraits naturels et randonnées écologiques Iran. Dizin Ski Resort et l'Iran Complexe Sport d'hiver. Shemshak ski de piste. Damavand escalades. Dizin ski et les randonnées à ski snowboar. Damavand Ski Tour. specialista in Mount Damawand sci alpinismo guidato. Sci alpinismo Avventura e snowboard tour alla stazione sciistica di Iran. Demavand attività sportiva e l'arrampicata invernale tour operator. Guidato operator Skitour. Iran l'alpinismo e arrampicate. Ski stile alpino tour Alborz Mountains. Zagroz Monti sci alpinismo. Iran turismo sciistico centro informazioni. Trasporto da Tehran IKA International Airport di piste da sci Iran. Attrazioni naturali e tour eco Iran. Dizin Ski Resort e Iran invernale Sport Complex. Shemshak piste da sci. Damavand arrampicate. Dizin sci e sci alpinismo snowboar. Damavand Ski Tour. spesialist i Mount Damawand guidet skiturer. Eventyr skiturer og snowboard tur til Iran skianlegg. Demavand sport aktivitet og vinterklatring tur arrangør. Guidet skitur operatør. Iran fjellklatring og klatreturer. Alpin stil ski touring Alborz-fjellene. Zagroz Mountains ski touring. Iran ski turisme informasjonssenter. Transport fra Teheran IKA International Airport til Iran skibakker. Naturattraksjoner og øko turer Iran. Dizin skiområde og Iran Winter Sport Complex. Shemshak skiløypa. Damavand klatreturer. Dizin ski og snowboar skiturer. Damavand Лыжный тур. специалист в Маунт Damawand руководствоваться лыжного туризма. Приключения лыжного туризма и сноуборда тур в горнолыжном курорте Ирана. Demavand спортивной деятельностью и Зимнее восхождение тур организатором. Руководствуясь Скитур оператор. Иран альпинизма и скалолазания туры. В альпийском стиле катания на лыжах Эльбрус горы. Zagroz Горы Лыжные прогулки. Иран лыжный туризм информационный центр. Транспорт из Тегерана международного аэропорта IKA в Иран лыжных трасс. Природные достопримечательности и эко туры Ирана. Горнолыжный курорт Dizin и Иран Зимние виды комплекс. Shemshak лыжных трасс. Damavand восхождений. Dizin лыж и snowboar горнолыжные туры. Damavand Lyzhnyy tur . spetsialist v Maunt Damawand rukovodstvovat'sya lyzhnogo turizma . Priklyucheniya lyzhnogo turizma i snouborda tur v gornolyzhnom kurorte Irana . Demavand sportivnoy deyatel'nost'yu i Zimneye voskhozhdeniye tur organizatorom. Rukovodstvuyas' Skitur operator . Iran al'pinizma i skalolazaniya tury . V al'piyskom stile kataniya na lyzhakh El'brus gory . Zagroz Gory ​​Lyzhnyye progulki . Iran lyzhnyy turizm informatsionnyy tsentr . Transport iz Tegerana mezhdunarodnogo aeroporta IKA v Iran lyzhnykh trass . Prirodnyye dostoprimechatel'nosti i eko tury Irana. Gornolyzhnyy kurort Dizin i Iran Zimniye vidy kompleks . Shemshak lyzhnykh trass . Damavand voskhozhdeniy . Dizin lyzh i snowboar gornolyzhnyye tury .